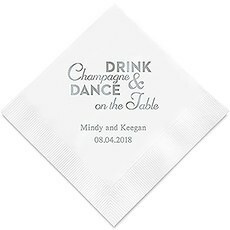 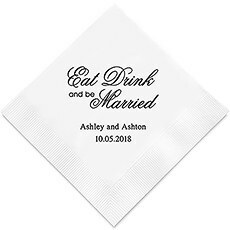 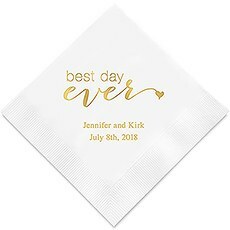 With our personalized trendy quote napkins, you'll immediately set the mood for your bachelorette party, engagement party, wedding reception, bridal shower or birthday bash. Are you in the mood for something sentimental, such as "Forever" or "Sweet Beginnings"? 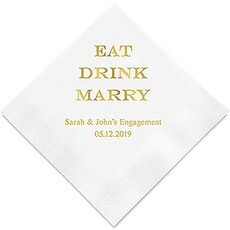 Or maybe you'd like something a bit silly and whimsical, like "But first… cocktails," "The Adventure Begins" or "Eat, Drink & Be Married." 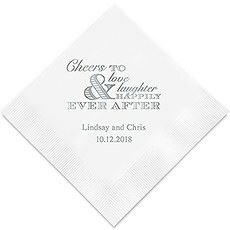 We have personalized napkins with quotes to suit the unique personalities of the happy couple. 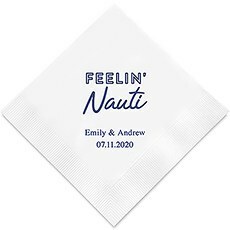 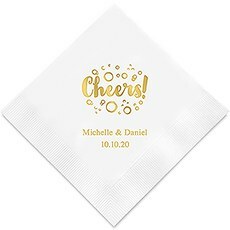 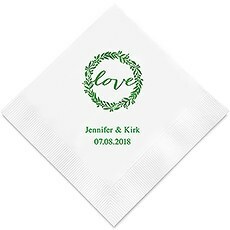 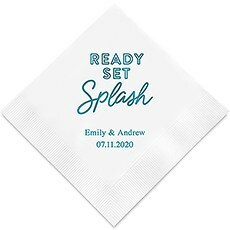 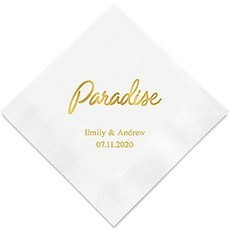 These premium napkins are available in cocktail, luncheon or dinner sizes, and you can choose from many different napkin colors and foil imprint colors. 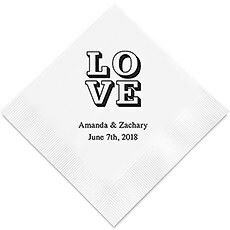 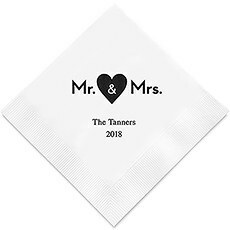 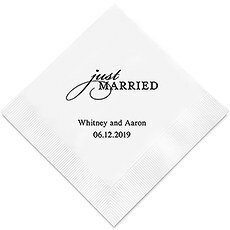 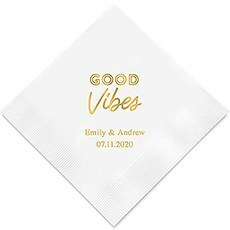 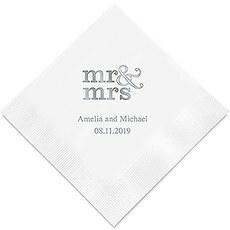 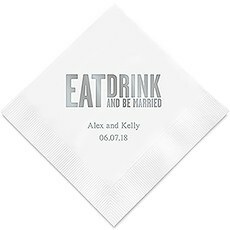 We'll create your own custom napkins that are an inexpensive way to put a personal touch on the occasion.Our unique napkins with quotes and customization doesn't just end with wedding napkins. 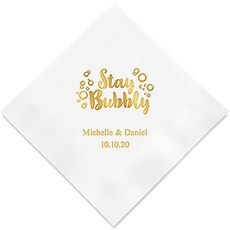 You'll discover cute and clever sayings for Christmas parties ("All Lit Up!" 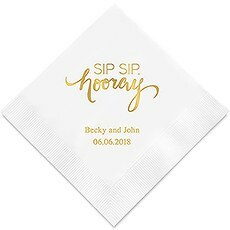 and "Baby it's Cold Outside," to name just a few), a graduation ("Yay! 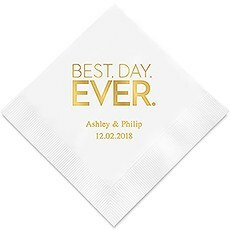 You!") 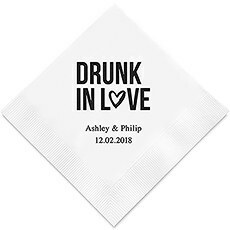 or a bachelorette party ("Fling Before the Ring"). 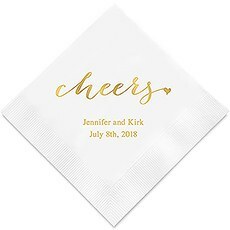 There are many festive sayings to fit your party theme and bring a personalized touch that will make the memorable event even more special.Whether you're creating your dream wedding, putting together decor for an anniversary party or celebrating a friend or relative's birthday, The Knot Shop gives you unique and affordable ways to dress up the room with stylish designs and personalized accessories. 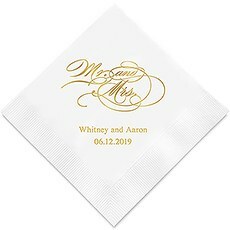 Our 34 years of experience as Weddingstar Inc. make us especially qualified to help you turn the average into the extraordinary with our wedding ideas and expert designers. 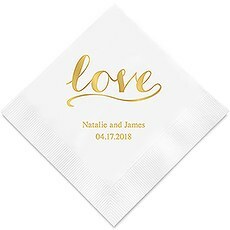 Thousands of retailers across North America carry our distinctive wedding accessories, and we're proud of our reputation for outstanding quality and customer service.